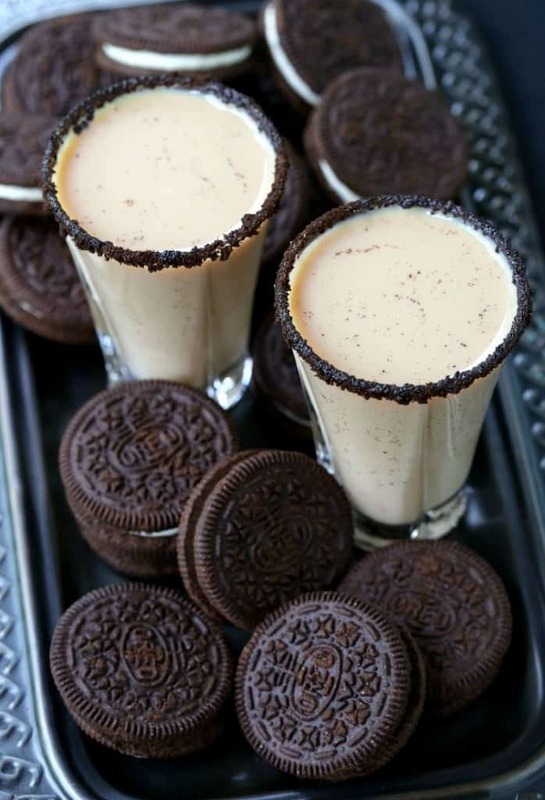 Oreo Cookie Shots Recipe | Easy Dessert Shot for New Years & Parties! 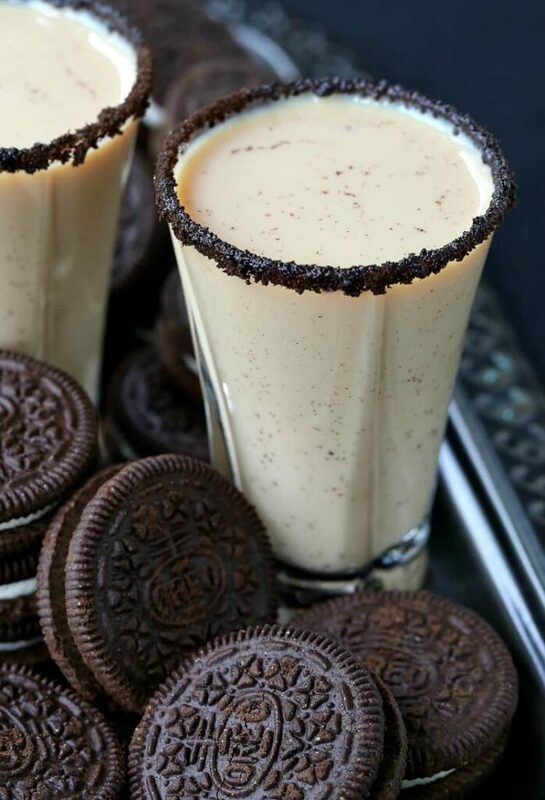 These Oreo Cookie Shots are a fun, boozy way to serve up dessert! If a big piece of cake is going to weigh you down try these tasty drinks at your next party instead! So I’ve got a birthday coming up soon…and by soon I mean tomorrow. I usually like to keep it pretty low key around my birthday, I don’t like surprise parties or really any party for that matter. Just family and some friends and a few good drinks are all I need. Oh and food. Definitely food. I love serving up just appetizers so everyone can have a taste of everything instead of one big meal. I’m going to be trying out a couple of different recipes this year but we’ll also be serving up some of our favorites like these Garlic Parmesan Chicken Wings and definitely this Creamy Jalapeño Dip. Because chips and salsa. You gotta have it. Ok so I know that we’ll be having birthday cake too. I guess that’s a given, right? 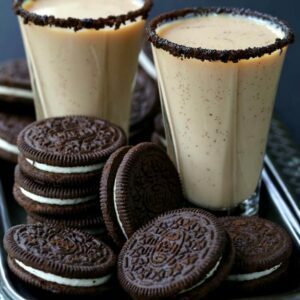 But I don’t really drink coffee so instead I’m going to be in the kitchen shaking up these Oreo Cookie Shots. I’ve gotta tell you guys, these shots are GOOD. It’s like a small boozy milkshake without the ice cream to weigh you down, just liquid cookies and cream flavor. It’s a winner, I promise. All you need to do is grab a few bottles of liquor, a couple packs of Oreo cookies and a cocktail shaker full of ice. Shake these ip per shot or make a whole pitcher. Just make sure you make enough because one shot per person probably isn’t going to cut it for this recipe. 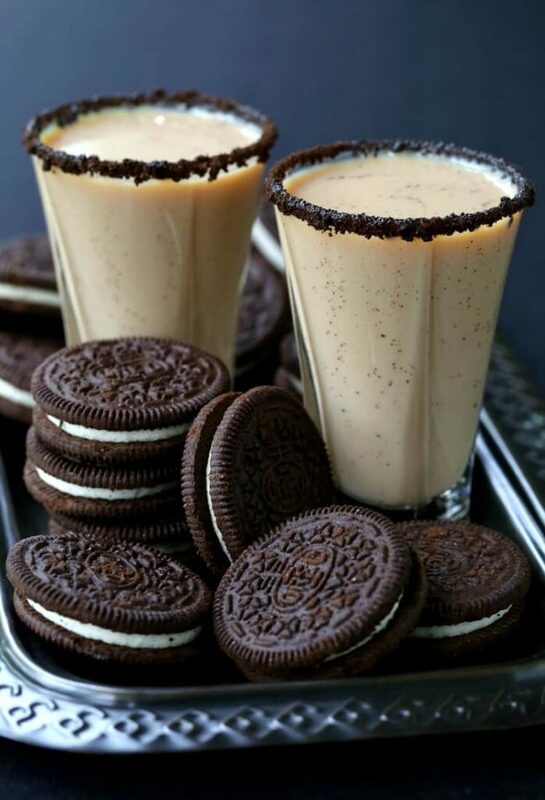 These Oreo Cookie Shots are that good. 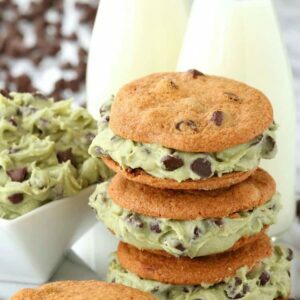 Maybe you’ll be lucky enough to have a few of these before dessert gets on the table…just make sure you save room for cake! Crush cookies in a plastic bag with a rolling pin. 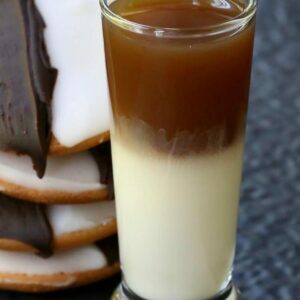 Dip the edge of a shot glass in corn syrup then rim the glasses with the cookie crumbs. Add all the liquors to a cocktail shaker filled with ice. 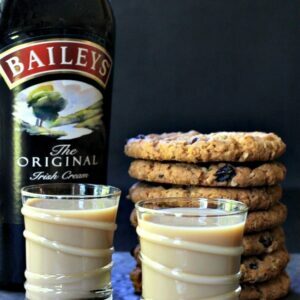 Shake well and strain into a shot glasses.